Where we walk in the Northern New Mexico countryside. My husband, Pierre Delattre - writer and painter - has observed the evolution of my art for almost 30 years. I am grateful for his astute comments in the following essay of appreciation. My latest exhibit, "Brushes With Light" which opened in March included my monochromatic paintings, the “Quiet” series and others that brought me back to color. 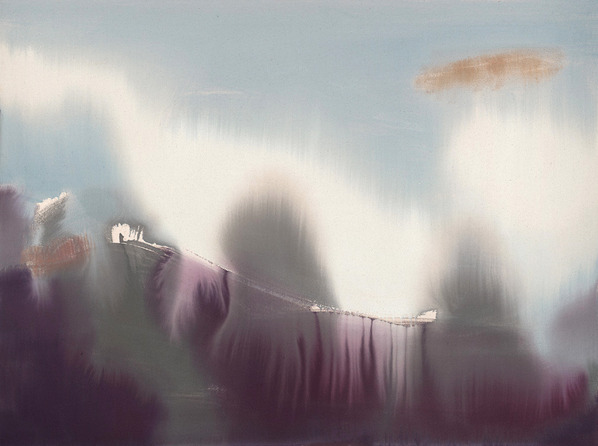 Recently, I’ve created several new paintings that will be offered for purchase online exclusively through me including "Morning Light" shown above (limited edition archival print, 22x30). View them all on the Exclusive Prints page here. This past year, my new book, Because of Birds, was published. 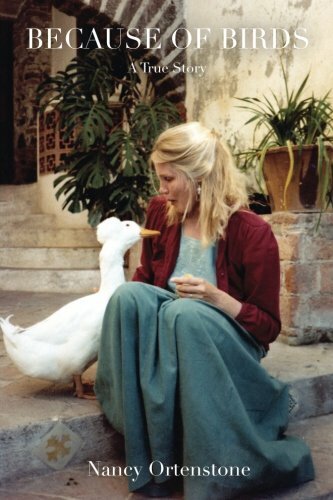 It is a true story about my relationships with birds while living in San Miguel de Allende. Pierre Delattre described the book: “A hummingbird, a mourning dove, a Mexican songbird, a blue heron, and most importantly a peking duck, with whom she forms a deep bond, are among the many friends who fly into her life to share deeply felt adventures of mutual healing and transformation.” Because of Birds is available on Amazon. My recent essay describing my journey to becoming a painter will appear in the forthcoming book, Pilgrimage Chronicles, published by Sacred World Explorations. There will be more on the writing front in 2018. I feel tremendous gratitude toward all the people over the years who have purchased my artwork. You have made it possible for me to keep creating.